Simpson Cabinetry was recently featured on the popular home design website “Houzz”. Called the “Wikipedia of interior and exterior design” by CNN, Houzz provides people with everything they need to improve their homes from start to finish. Houzz is the app the New York Times put first on its list of “best apps for home improvement”. The Washington Post calls Houzz “the single best source” for finding inspiration. 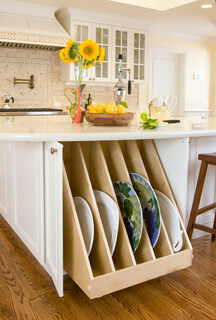 Our signature corner drawers are among the most popular design ideas on Houzz (and with our loyal customers) – we are extremely proud to have been chosen out of the millions of ideas on Houzz to be featured as one of the “13 best storage ideas” – check out the article and slideshow now!